Lost City will be taking a short respite in the coming weeks. In the meantime, I wish every reader, and every New Yorker, a joyous holiday season, a Merry Christmas and a Happy New Year. 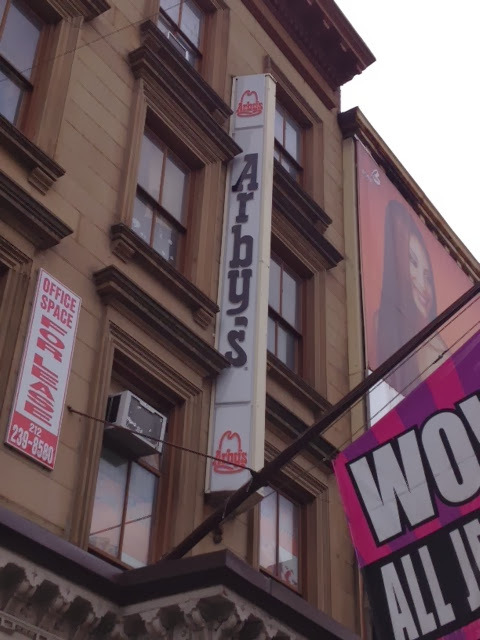 Years after its short life inside the landmarked Gage & Tollner building on Fulton Avenue in downtown Brooklyn ended, Arby's has yet to take down its signage. The vertical sign advertising the roast beef chain covers an original sign reading Gage & Tollner. 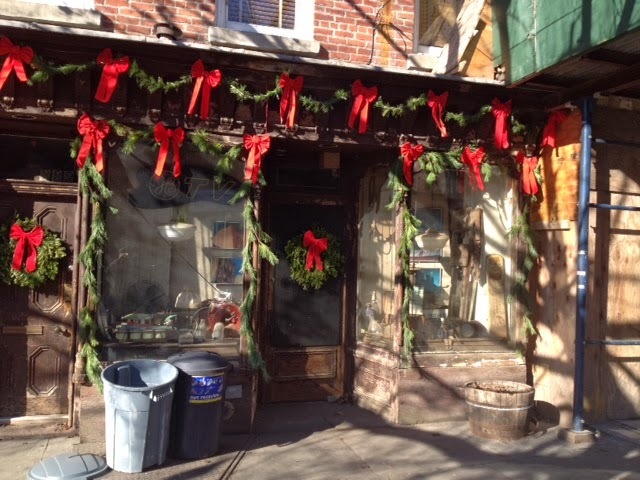 Meanwhile, the tacky junk jewelry shop that took over the space after Arby's exited continues to inhabit the address, covered nearly ever bit of its beautiful, 19th-century landmarked interior with hot pink displays of the most appalling array of tinsel-y rubbish imaginable. All in violation of an contempt of City landmarking laws. Restaurateur Danny Meyer brought a Shake Shack to Fulton. Can't he take over this hallowed space and save it from further ignominy?